We use the latest technology and equipment to make your learning experience as life-like and realistic as possible. We have invested in top of the range simulation bodies to mimic situations that you are likely to find in practice. 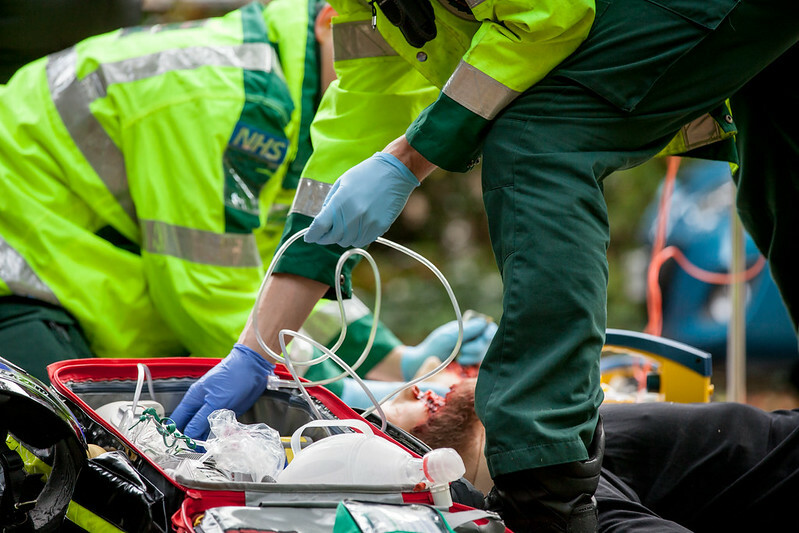 Recently, our BSc(Hons) Applied Paramedic Science students took part in a scenario day where they were faced with stab injuries, cardiac arrests, bike accidents and house fires. See how they responded below. Whatever Health Profession course you choose to study, you will be prepared for a future in health and social care — using evidence-based practice to guide your clinical reasoning, analytical and reflective skills. You’ll be assessed on ‘case studies’, where you’ll work in multi-disciplinary groups to coordinate your patients’ care. You’ll learn from experienced, practicing teaching staff who lead life-changing research. They feed their research findings directly back into their teaching.